The perfect tool for any need, this double magnetic LED work light is great for attaching to any metal surface for optimal lightning. This aluminium flashlight allows you to extend from its normal size of 17cm to 58cm allowing you to pick up items that are stuck in hard to see and reach places with the magnet on front. 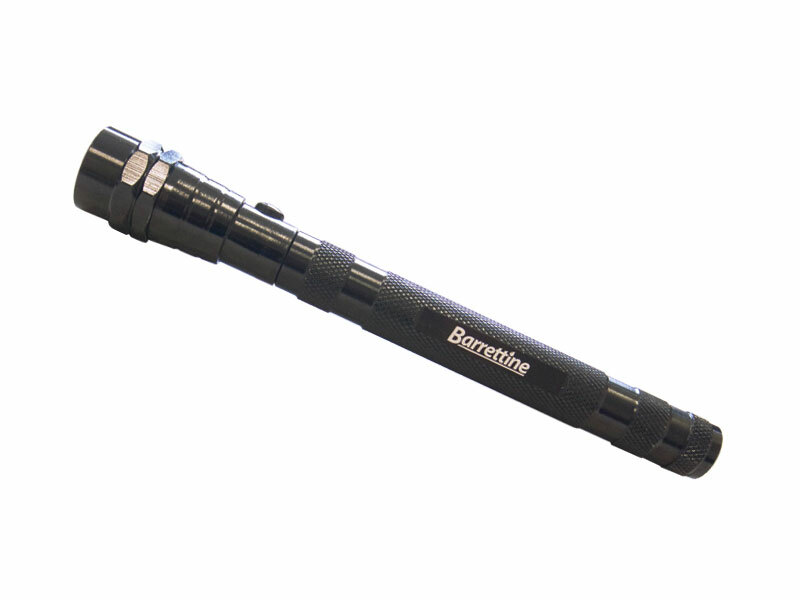 This flashlight is equipped with three LED for extra bright exposure in dark spaces. When the light is extended the head becomes flexible and can be adjusted in any direction. Includes batteries for direct use.